The current Ford Fiesta is a great, fun to drive little car that sells in droves all over the world. Ford knows what they have, so the company has taken its successful little hatchback and multiplied it by four. Fastest Or Slowest Ford Fiesta: Which Is More Fun? Ford debuted its new Fiesta today in Cologne, Germany to 2,500 dealers, employees and journalists at an event called “Go Further.” The debut, which you can watch below, included a strange DJ robot, a bunch of heartwarming video clips only tangentially related to cars, and most importantly, the new range of Fiestas. That new range of models, of which we caught a glimpse this morning, includes: Titanium, Vignale, ST-Line and Active. The Titanium trim is considered the “core model,” the Vignale is the “upscale” model, the ST-Line is supposed to be inspired by Ford’s high-performance model (but it’s not an actual Fiesta ST, not yet!) and then there’s the Fiesta Active crossover. So basically, you’ve got a standard car, a fancy car, a standard car that looks like it wants to be fast but isn’t really fast, and a jacked up car that looks like it wants to off-road but can’t really off-road. The good news is that chief program engineer Glen Goold says the new car, which is built on a fine-tuned version of the excellent old global B-car platform that underpins the current car, is more responsive, smoother, has more grip and is “cleaner to drive” than the outgoing model. It also offers rear disc brakes, which Goold says can bring the car to a stop within a meter of a Porsche 997. He concludes, saying: “Without question, this is the most fun to drive small car in the world.” Hopefully he’s right, and Ford hasn’t messed up what is already a solid little driver’s car. The 1.0-liter EcoBoost remains largely unchanged, but it, along with a new “high powered diesel” engine, gets mated to a set of revised five and six-speed transmissions. The new range also promises better interior materials, a panoramic sunroof, a SYNC 3 infotainment system, a big eight-inch floating screen (see below), a new sound system, and a whole slew of driver information and safety systems like forward collision warning and adaptive cruise control. 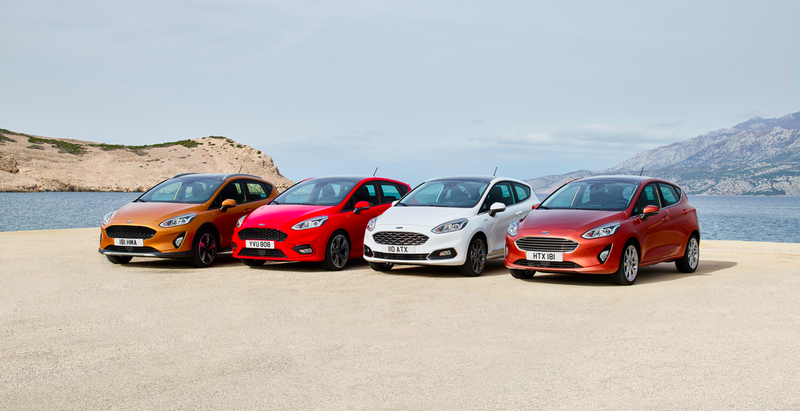 Basically, Ford wants the Fiesta to be every car that anyone could ever want. Let’s see if they can pull it off. Is A Rally Car Really Usable On The Road?